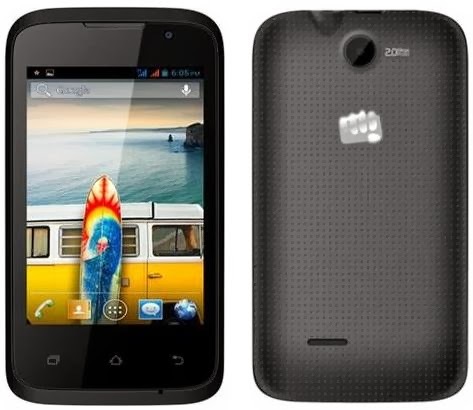 Micromax has launched the Bolt A37 budget smartphone at Rs 3,999. The dual-sim(GSM+GSM) phone is available for purchase online on the company's official website. The Bolt A37 features a 3.5-inch display with a resolution of 320 x 490 pixels and 262k colours. The phone is powered by a 1GHz MediaTek (MTK 6572M) processor and 256MB RAM. The Bolt A37 runs Android 4.2 Jelly Bean. It comes with 512MB internal storage expandable up to 32GB via a microSD card. The phone sports a 2MP rear camera but there's no LED flash or auto-focus. It also sports a VGA front-facing camera to click selfies. Micromax Bolt A37 comes with a 1450mAh battery which the company claims offers a talktime of 5.5 hours and standby time of 256 hours. The phone supports 3G connectivity, WiFi, Bluetooth 2.1 and FM Radio.